Who does not know that there Tanah Lot in of Bali? Most tourists who visit Bali must have been to this place. Tanah Lot is located in Beraban village, district of Kediri, located about 13 km west of Tabanan city. To reach this place, you can travel along the 25 km from Denpasar city center, with a time of about 45 minutes, if it does not get stuck in a traffic jam. Because the road to Tanah Lot is very crowded by vehicles, so very often traffic congestion. 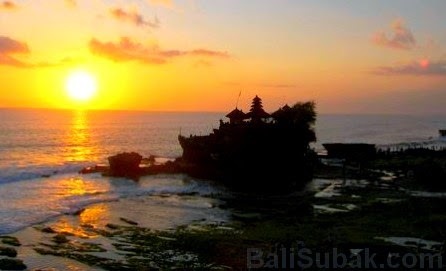 In Tanah Lot, there is a temple located on top of a large black stone in the middle of the sea. This temple is very sanctified by the people of Bali, therefore, no tourist is allowed to enter the temple, except to pray. Tanah Lot is one of the many places that became the mascot of tourism in Bali. Because this place is very unique and interesting and beautiful, with great sea waves hitting the rocks on the beach, with strong winds and beautiful scenery. A tour guide I have ever met, he explained a bit about the history of the temple at Tanah Lot. He said, Pura Tanah Lot was founded by Dang Hyang Nirartha or MpuBawu Rawuh XV century AD. Place into a place sanctified by the Hindu community in Bali, for being one of the guards of the island of Bali. Many temples in Bali built on the beach, by the sea were very spacious with a very large ocean waves. 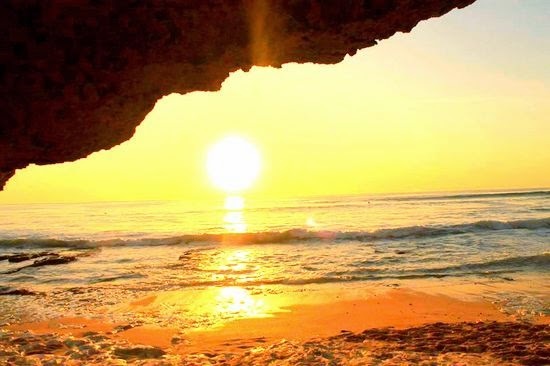 The purpose of the construction of the temple on the beach with the aim of keeping the island separately from the negative energy that can disrupt human life in Bali. So, if we enter the area of Tanah Lot, we should dress modestly, and forbidden talk dirty or or do not either. Can not say a bad, dirty action, should not be make love at all areas of Tanah Lot. The Balinese are very trusting and confident, if a person makes a dirty and poorly done around Tanah Lot, then that person will get hurt. Because a lot of adverse events in this place. Tanah Lot is always crowded by tourists. When the afternoon before sunset, this attraction is always packed with visitors. Sometimes a lot of people who are entering dissuade Tanah Lot, because a lot of people thronged the place. The sun seemed to be lost, drowned in the horizon. Not only focused to the beach alone, the eyes also focused on the beauty of the temple. How happy when I found the temple has now been decorated with sunset which adds to the beauty of the temple. 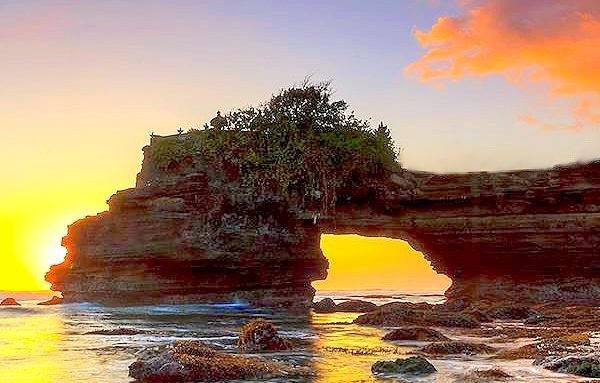 The best time to visit Tanah Lot is in the afternoon, just before sunset. Because in this very nice place to watch the sunset. As the sun will set into the sea. The sky a reddish color will make the atmosphere becomes very beautiful. Just like in the other attractions in Bali, the road to Tanah Lot is also packed with souvenir merchants. The souvenir vendors around the parking area selling the same stuff as in other attractions. There is no characteristic that distinguishes this place merchandise on to elsewhere. Read also: The Holy Snakes in Tanah Lot Tabanan.